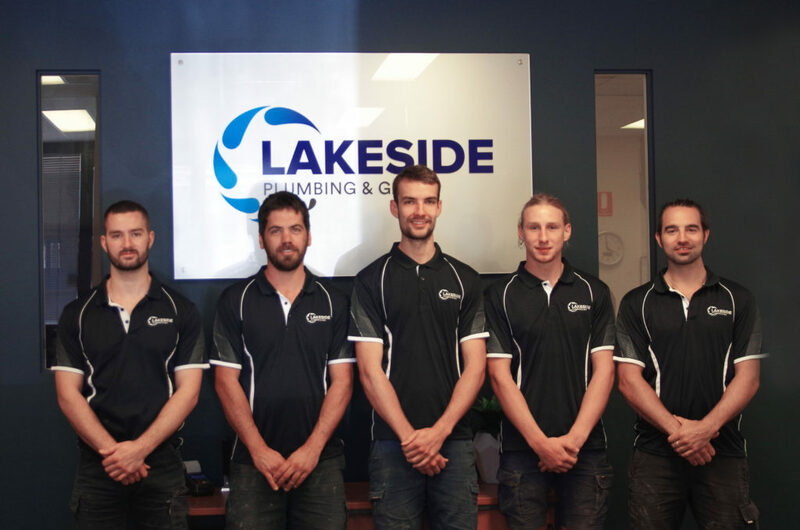 Lakeside Plumbing & Gas was first established as a partnership in 1989, operating from a home-based office in Joondalup WA. The business has been through various phases of development over its 28 year history. It became a fully incorporated company in 2003, relocated to brand new business premises in the Joondalup Business Park in 2005, and is now solely owned and operated by its founding director Phil Roggio. Phil is a licenced Plumbing Contractor, Gasfitter and is accredited in Backflow Prevention. He is passionate about maintaining the craft and quality of plumbing which motivated him to start Lakeside Plumbing and Gas at 29 years of age. During his 42 year career Phil has gained valuable knowledge and experience in all aspects of plumbing and also in business management. He is proud to be a plumber and recognises the value of the skills he has diligently learnt and developed over many years. At Lakeside, we believe that the customer experience is only as good as the person providing the service. For this reason, staff selection is considered an important process in consistently providing quality service. All team members are selected for their high level of skill, alignment with the values of Lakeside, and the ability to communicate clearly. Lakeside currently operates with a team of 9 full time personnel which include 6 plumbers, 1 apprentice, and 2 administration staff (as of August 2017). All our fully qualified tradesman and our apprentices have police clearance, are safety trained, and wear company uniforms for ease of identification. Without customers there would be no Lakeside. Our priority is to ensure the customer has an experience of plumbing that changes the way they perceive plumbers, and trades in general. We operate in the commercial, domestic and construction areas of plumbing. Currently the majority of our business is related to the maintenance of commercial properties. Our major costumers include shopping centres, hospitals, cafes, and office or government buildings. The roots of Lakeside were in domestic maintenance and our domestic customers are equally important today. Our domestic customers include individual home owners, investors, real estate companies, and strata companies. in addition, Lakeside is a preferred contractor to several construction companies, builders, hydraulic consultants, architects, and shop-fitting contractors. Lakeside holds safety accreditation with several OHS providers, such as CM3, SASSI, AMP, BROWZ, and PEGASUS. We have current site specific inductions with several major facilities management and investment groups. Safety is taken very seriously at Lakeside and we are always open to requests to adopt customers specific safety or compliance procedures, and inductions. Lakeside values training and education and supports the plumbing industry through its ongoing apprenticeship training program. Our apprentices are mentored by experienced tradesman and receive a high standard of training through the diverse nature of our work within the plumbing industry, and by attending the best training facilities available. Former apprentices have chosen to remain at Lakeside and are now employed as skilled tradesman. We further support the plumbing industry and local community by accepting a number of student placements for Work Experience whenever possible. Lakeside Plumbing & Gas is committed to the growth and development of its people, and as a respected and professional business within the community. As such management has invested heavily in developing a culture which is aligned with the vision, mission, and values of Lakeside so they may be reflected in every action undertaken. The culture at Lakeside is best described as one of integrity. It is responsibility based, professional and respectful. In addition, Lakeside is also a leader in terms of its systems and processes and has implemented the latest technology in job management systems. All of our tradesman are equipped with smart phones loaded with a web based system that allows full control of their schedule, job management and invoicing, all in real time. The result is an increase in efficiency and service provision to our customers, offering full transparency of time on site and charge out costs.